Those traits we detest, sharpness, greed, acquisitiveness, meanness, egotism and self-interest, ae the traits of success. There had been news which had been going around that Nora Aunor was to be officially recognised as the icon that she is. It was a sure thing as thought by everyone. Afterall, every Filipino knows that Nora is interstellar in the acting world. In fact, it beggars belief why Nora has not been named as a National Artist at least 10 years sooner. Anyway, Nora Aunor was finally included in the list of artists who were to be recognised for their contribution to the Philippine Arts. Some of the nominees, I have to admit, I have never heard of and their Wikipedia entries were minimal to say the least. The last hurdle for the list was for the president of the Philippines to make his approval. Why the president, I do not know?!!! What does he know about art? He is no more au fait about arts than the next Filipino on the street. Therefore, the privilege of the final choice should not be given to just one person who could have a hidden agenda, thus instead of honouring deserving artists, would end up shamed and mortified, through no fault of their own. As Filipinos, we are the nicest people in the world but once you hurt us, imagined or otherwise, we will remember. We will sow that seed of slight into our brains and nurture it until it grows into a gargantuan resentment and payback time is subconsciously planned, simmering at the back burner of our mind until one day we get to serve it with ferocious wanton delight. LOL Yeah, oh yes I know that feeling so much! I think this was what may have led to what had happened to Nora Aunor, who was a known supporter of Ferdinand Marcos. PNoy in his mind is serving Nora her just desert! How petty! Unfortunately for the president, PNoy might actually leave egg on his face! Nora’s snub and humiliation is not only against her but also against Sining at Lipunan (Art & Society). Nora Aunor, the woman with the Golden voice has more talent in her little finger than most Filipinos in arts and sciences. She can SING, she can dance and can act out anyone. So much talent for such a tiny lady. It is a shame that PNoy’s presidency chose to ignore so much talent from someone befitting a National Artist. This action will have a long repercussion to his government. Nora Aunor has been awarded, recognized and received multiple nominations from different organizations, academe, institutions, critics and award giving bodies for her work in film, television, music and theater. She is the most nominated actress for the leading role in the long history of FAMAS Awards, having nominated 17 times since 1973 when she was first nominated for “Gift of Love” but only second to Eddie Garcia with 23 nominations both in leading and supporting role. With her fifth FAMAS Award for Best Actress in 1991, Aunor became the sixth performer to be elevated to the FAMAS Hall of Fame joining the likes of Eddie Garcia, Joseph Estrada, Charito Solis, Fernando Poe Jr. andVilma Santos. This award is given to the person who won more than five times in its particular category. Aunor is the only performer in the long history ofFAMAS Awards to be nominated for fifteen (15) straight years from 1973 to 1987. As of 2014, Aunor is still the most nominated actress of Gawad Urian with 18 nominations and 7 wins and the very first best actress awardee. She is also the most awarded and the most nominated actress of Metro Manila Film Festival with eight (8) best actress trophies and from Young Critics Circle with nine (9) nominations and five (5) wins. She is also the only actress to win the best actress trophy from the Film Academy of the Philippines for 3 straight years. A feat yet to be equaled or surpass by a Filipino actress. Aunor has the most number of international best actress awards and nominations more than any other Filipino actors. She is the only Filipino actress who have won international awards from 5 different continents. 19th Cairo International Film Festival in 1995 (Africa), 1st East Asia Film and Television Award in 1997 and Asian Film Awards in 2013 (Asia), 31st Festival International du Film Indépendant de Bruxelles in 2004 and Premio Della Critica Indipendiente in 2013 (Europe), Asia Pacific Screen Award in 2013 (Australia) and from the Green Planet Movie Award (North America). Aunor, has the most Lifetime Achievement Awards received locally and internationally for her contribution in film, television, music, and theater. The most nominated and awarded Filipino actress both locally and internationally. The only Filipino actor with the most number of International best actress awards (Cairo 1995, East Asia 1997, Brussels 2004, Venice 2012, Australia 2012, Hong Kong 2013, Russia 2013), and nominations (Berlin 1983, Singapore 1997, Cairo 1999, Singapore 1999, Venice 2012, India 2012, Dubai 2012, Macau 2012). The first Filipino actor to win an International acting award in a Major Film Festival (Cairo 1995 for the movie “The Flor Contemplacion Story”). The first and only Filipino actor to receive an acting nomination from a Top-Tier International Film Festival (Berlin 1983 for the movie Himala, Venice 2012 for the movie Thy Womb, Goa, India 2012 for the movie Thy Womb). The first Filipino actor to be inducted as a member of Asia Pacific Screen Academy. The first Filipino actress to sit as juror in an International Film Festival (Hawaii 1996). The only Filipino and Asian actress apart from China’s Gong Li to be featured by HBO, an American cable network, in a documentary film about the lives and achievements of the world’s greatest actresses (1997). The Filipino actor with the most number of films competed and exhibited in different international film festivals. The first and only Filipino actor ever to win the “Best Performer” award at the 1978 Metro Manila Film Festival. The most nominated actress of FAMAS Awards with 17 nominations. Chosen by the Gawad Urian as “Actress of the Decade” twice (1980s and 1990s). The only Filipino actress to win three successive best actress awards in the Film Academy of the Philippines (1989,1990,1991). The winningest actress (along with Vilma Santos and Lorna Tolentino) of the Film Academy of the Philippines with four (4) Best Actress Award. The only actor to received triple nominations in one award season from Star Awards for Movies (Philippine Movie Press Club). The very first Best Actress recipient of BALATCA (Batangas Laguna Teachers Association for Culture and the Arts). One of the first actresses to be honored with the “The Outstanding Women in the Nation’s Service” (TOWNS) award (1983). The first actress to be crowned as “Box Office Queen of Philippine Cinema” (1971). The only actress of her generation to have been directed by four National Artists for film Awardees, Gerardo de Leon, Lamberto Avellana, Lino Brocka, and Ishmael Bernal. 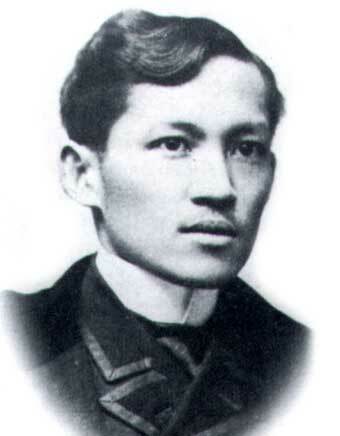 Named by the Manila Bulletin as One of the 110 Notable Filipinos in the Last 110 Years on the occasion of their 110th Anniversary in February 2010. One of the Best Ever Filipino Film Actresses by Nestor Torre, Philippine Daily Inquirer, Oct. 30, 1999 issue. Himala was the first and only Filipino film ever to qualify in the Competition Section of the Berlin International Film Festival (1983). For its international accolades, it bagged 1983’s Bronze Hugo Prize at the Chicago International Film Festival. Himala restored version was premiered at the 69th Venice International Film Festival under the Venizia Classici Section. The Flor Contemplacion Story grossed US$ 3.3 million in its domestic and international exhibitions, making it one of the highest-grossing films in Philippine history. Bona is the ONLY FILIPINO FILM to be archived at The Museum of Modern Art (MoMA) in New York. In 1968, Nora Aunor was contracted by Alpha Records upon the recommendation of singer Carmen Soriano. Although Aunor’s first singles were not major hits, she subsequently went on to smash local record sales with songs like “It’s Time to Say Goodbye”, “Silently”, “Forever Loving You”, “It’s Not Unusual”, and countless others. In her seven years with Alpha Records, Aunor was able to set all-time high record sales which up to this day has not been surpassed. At the height of her popularity as a recording artist in the late 1960s and early 1970s, local records soared up to 60% of national sales according to Alpha Records Philippines.She is the artist with the most singles in Philippine recording history (with more than 260 singles). Over-all she has recorded more than 500 songs. She has notched more than 30 gold singles, a record in the local music industry. With estimated sales of one million units, Nora’s cover of “Pearly Shells” (1971) is one of the biggest-selling singles in the Philippines ever. Nora has also recorded some 46 hit long-playing albums, and several extended plays. With estimated sales of one million units, Nora’s cover of “Pearly Shells” (1971) is one of the biggest-selling singles in the Philippines. Nora has also recorded some 46 hit long-playing albums, and several extended plays. In 1999, Nora was cited as one of the 100 Great Filipinos in Music, in an article written by Baby Gil at Phil. Star, Nov. 24, 1999 issue. I saw this book still prominently displayed at the National Bookstore in Manila last year and I thought I buy it and reread it once again and perhaps get a better perspective of what the story was about after all it does need a bit of special attention, it being one of the books that propelled and inspired Filipino ancestors from the 18th/19th century to take up arms and fight for independence against the 333 years of Spanish tyrannical colonisation of the Philippines. This Noli Me Tangere version is in Tagalog. I must admit, having gotten used to thinking, speaking, watching and reading English all the time, this version takes getting used to reading pure Tagalog once again. And this Tagalog version is the old fashion kind. As I said it takes getting used to it again. I kept stopping almost in every sentence to admire and mentally practise saying words that have become archaic in my everyday vocabulary. It is a nice feeling going over each word. 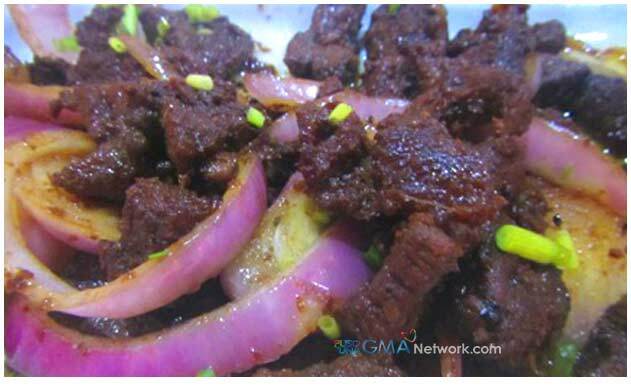 Ang hindi magmahal sa sariling wika ay daig pa ang malansang isda. The english literal tanslation is “Those who do not love their own language are worse than rotten fish! EVERYONE WHO SAYS THEY DON’T BELIEVE SOMETHING THEY KNOW NOTHING ABOUT ARE NOT ONLY FOOLS, THEY ARE IGNORANT FOOLS. Sir Arthur Conan Doyle’s pithy quote is about those who have closed minds and not willing to have a belief in anything.